Funny how when life gets in the way, the first things to drop off are the things that you enjoy doing. Suddenly you realise it’s been 3 months since your last post. Oooops bad blogger, I’m sorry! But I’m back, things back on track and back to a new restaurant launch. This time Beastro in Spinningfields Left Bank in Manchester. You may be thinking, “Beastro I think I know them” well you may know them as Street Food Traders Bangers and Bacon. 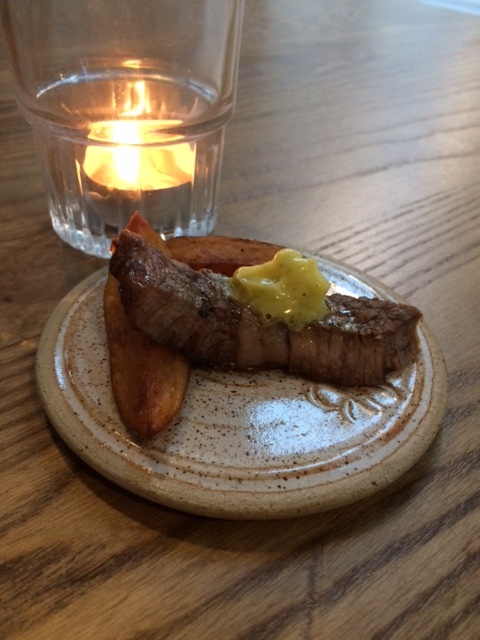 Beastro source as many ingredients as they can from local producers in the North West meaning that there are little food miles on the menu. As trained butchers from Bobby’s Bangers, it means that the food is a fair price. The first thing to note is that Beastro is beautifully decorated, when I walked in the clean crisp grey and white reminded me of home (I’ve recently decorated the whole of my home grey and white). They’ve kept it very open and homely and whilst it isn’t a huge space it felt just right. I like how you can see right into the kitchen and if you plumb for a counter seat you’d be able to see everything going on. The widows are huge and bright and sitting in the window makes a perfect spot for some prime people watching. We tried a variety of things from the menu Meat is certainly the star, however it’s the vegetarian elements of the menu which are flying off the shelves according to the waitress with the creation of the Lancashire leek crumble, and savoury custard. 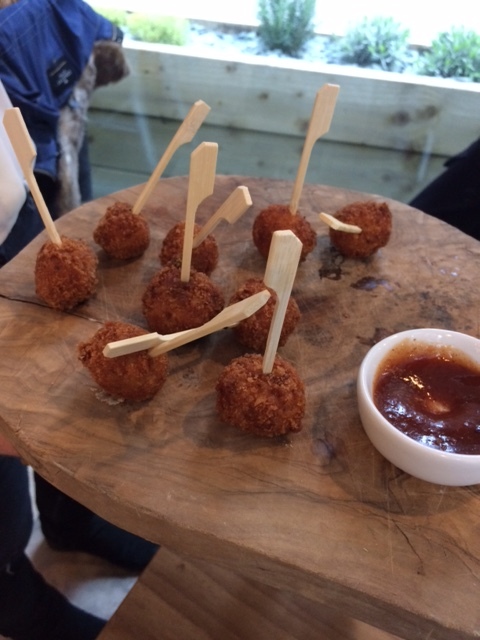 For me, my favourite taste of the evening was a miniature version of the ham hock bon bon, which is usually served pear chutney, pig cheeks and crushed roasted roots. 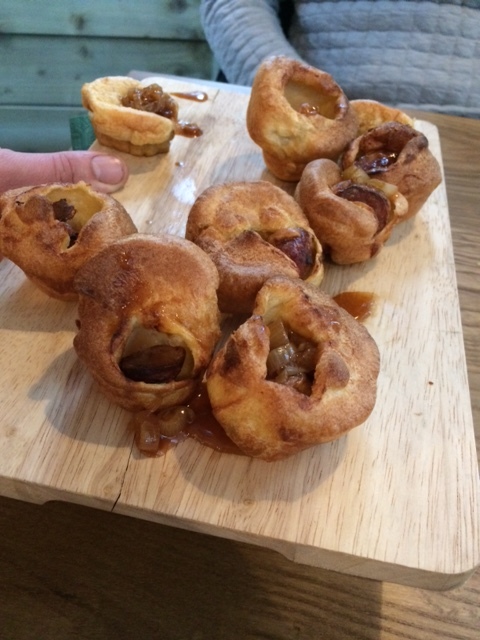 Then again the mini yorkshires with bangers were incredible too. 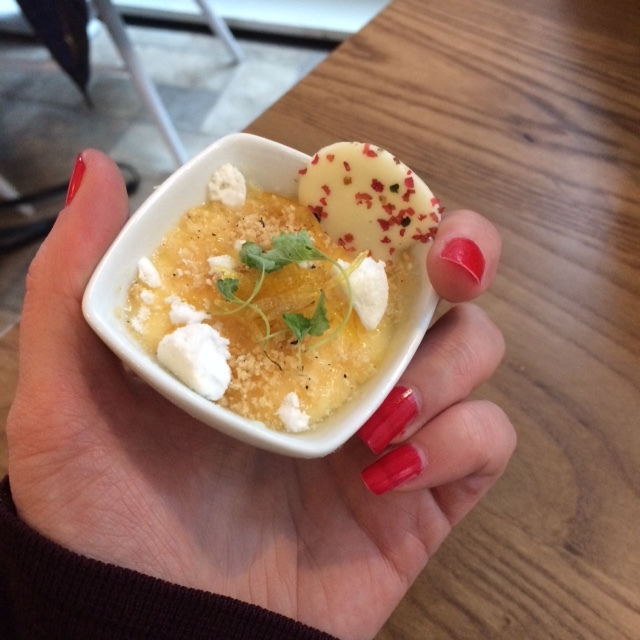 Even though I am much more of a savoury person I must say the deserts were pretty tempting with miniature trials of a deconstructed lemon meringue pie pot and mini Jaffa cake bites. Delicious. All I can say is that this is dangerously close to my office, I’ll be back! This entry was posted in All Posts, Eating. Bookmark the permalink. Emma Drury on How do you use yours? Elaine Garland on How do you use yours? 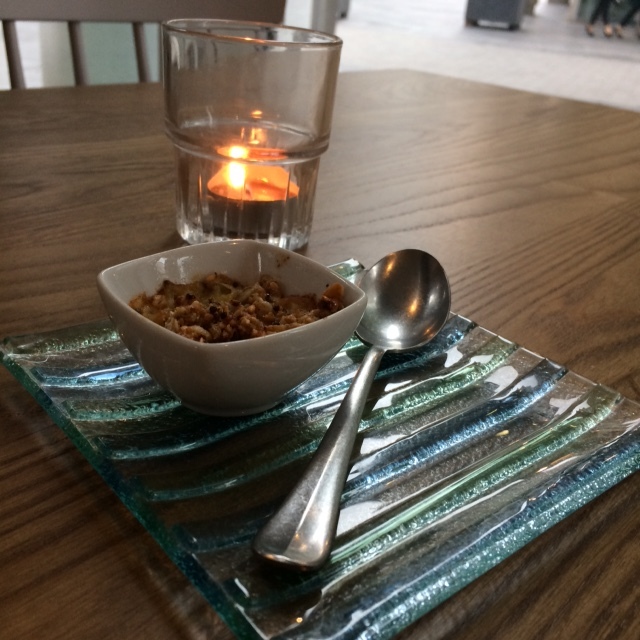 Copyright © 2017 Been There, Eaten That - A food and lifestyle blog exploring the new places I find.